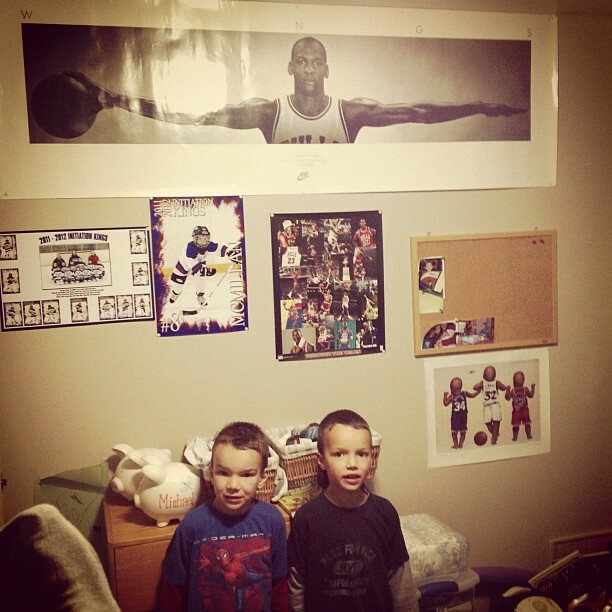 Back to 1992…We found some of Tara’s old posters and Elijah wanted to put them up in his room. Tim & Tara at the Carrie Underwood concert – that lit up person is Carrie on her floating stage. Elijah’s joy for life (and swimming) captured in this pic by Auntie Harm. A Rider fan mixed in with Packer faithful heading home after Monday Night Football, Seattle, WA. Tim and Billy at Mariner’s game. Tim joining in with the locals, Billy realistically knowing rally caps cannot change the talent level of this year’s Mariners. A couple of hours into Tim & Billy’s road trip to Seattle for soccer, baseball and Monday Night football. Elijah learning to tie his new first non-velcro shoes.